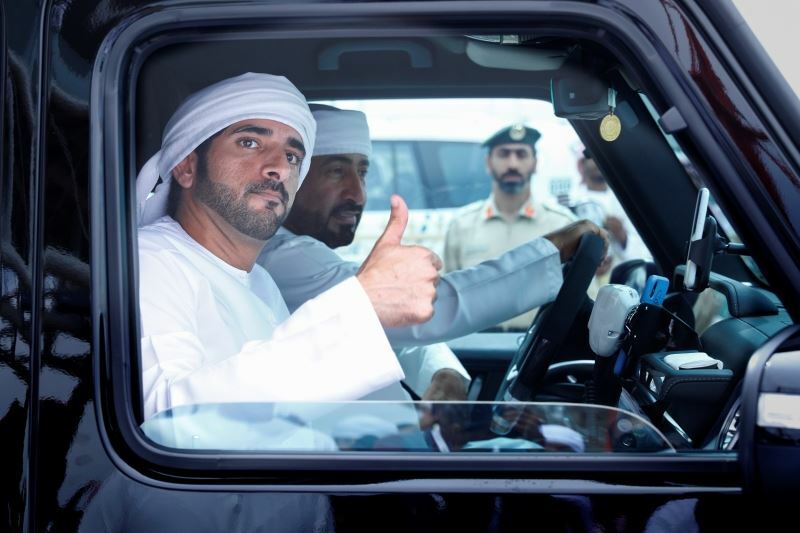 Dubai Crown Prince His Highness Sheikh Hamdan bin Mohammed bin Rashid Al Maktoum attended the races of the fifth day of Al Marmoom Heritage Festival for Purebred Arabian camels at the Dubai Camel Racing Club at Al Marmoom. His Highness Sheikh Hamdan attended the Evening Session races, which consists of 18 individual races, for the Ethaa’a category for Tribesmen. The camel races at Al Marmoom Heritage Festival saw a large audience from camel race enthusiasts.